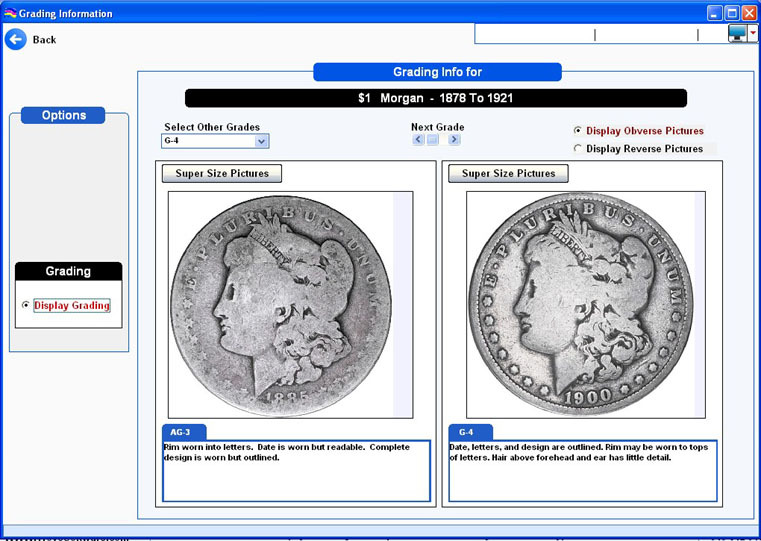 COIN ELITE for Windows offers built-in photo-realistic grading pictures for late 19th and 20th century coins. It also includes text information for all coin types. All pictures are professionally photographed and scanned in at over 2000 optical DPI for unbelievable detail. Free with the CD-ROM version of COIN ELITE!! Also offered as a stand alone program (20th Century Grading CD-ROM) for only $25.00 ! Each Obverse and Reverse can be enlarged to any size using the Image Editing Feature provided with Coin Elite.